After the Civil War and Reconstruction, a new struggle raged in the Northern Rockies. In the summer of 1877, General Oliver Otis Howard, a champion of African American civil rights, ruthlessly pursued hundreds of Nez Perce families who resisted moving onto a reservation. Standing in his way was Chief Joseph, a young leader who never stopped advocating for Native American sovereignty and equal rights. 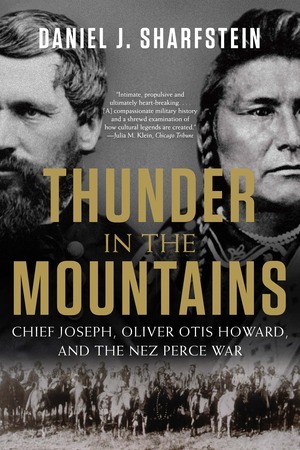 Thunder in the Mountains is the spellbinding story of two legendary figures and their epic clash of ideas about the meaning of freedom and the role of government in American life.